Meal courtesy of Charlotte’s Place. A restaurant that seats 50 spread across two floors. Charlotte’s place emits an aura of calm, situated in a peaceful and residential part of W5. Curiosity beckons upon approach to the restaurant, seemingly mysterious yet, very welcoming. With Ealing Common serving as its cosy backdrop, al fresco dining can be enjoyed with a good view on a day with good weather. Now independently owned by Alex Wrethman who has since refurbrished and rebranded for its reopening in 2005. 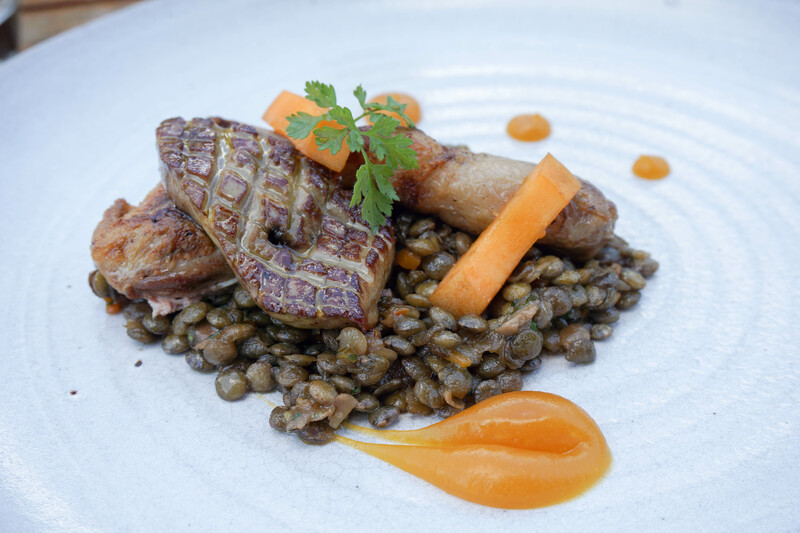 Charlotte’s place offers a traditional British menu with European influences. The restaurant door is plastered with accolades and upon entry you will find yourself in an intimate room, welcomed by its friendly staff. 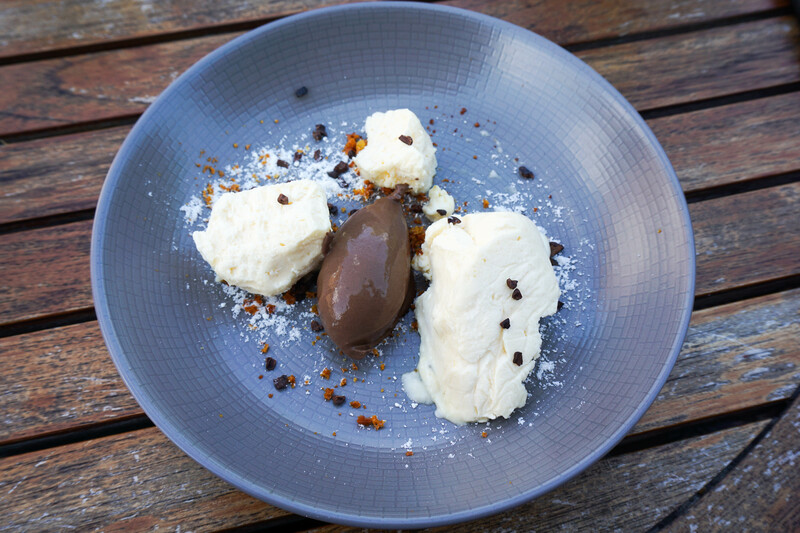 We came here to try the eye-catching set tasting menu offer which would soon be available on weekdays for £30 and on the weekend, £35. Before the amuse bouche came, we had a selection of brown and white bread sought from The Flour Station, a local, artisan and award-winning bread supplier. 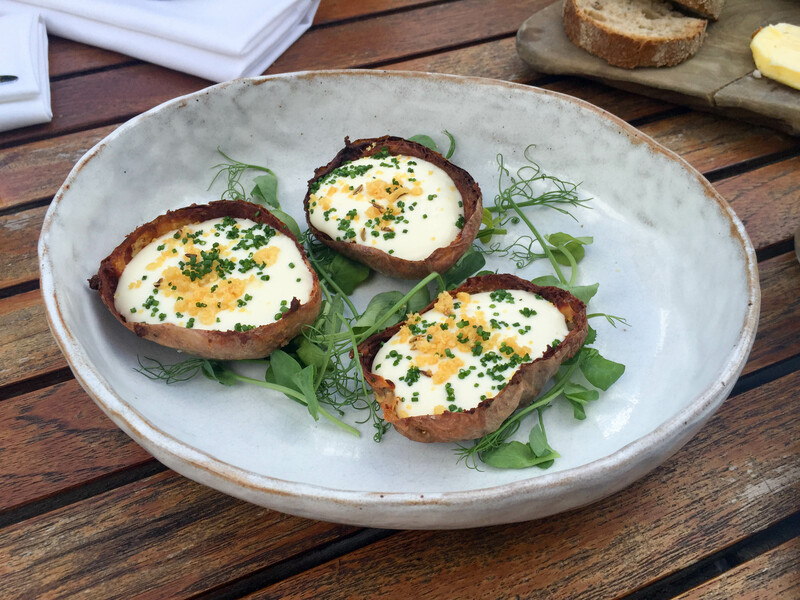 After our fill we tried the delicate amuse abouche – the potato skins with filling. 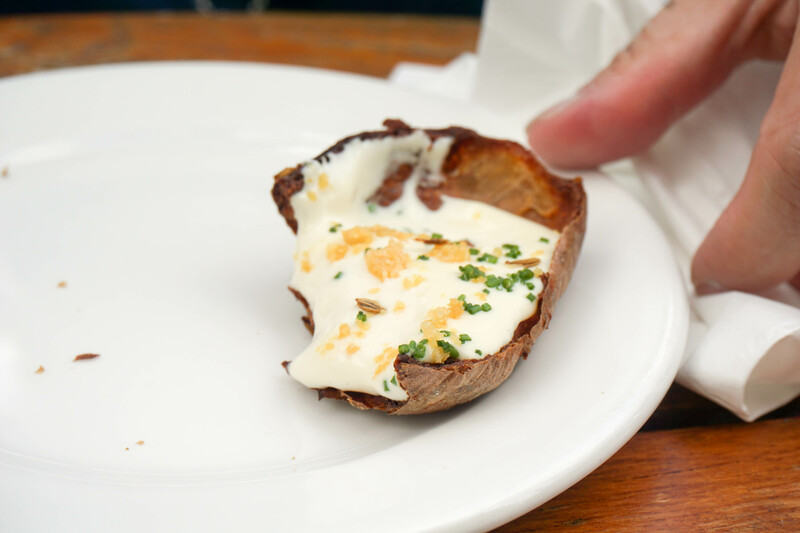 The potato skin crisp, with that oven baked aroma it was finished within 2 bites! 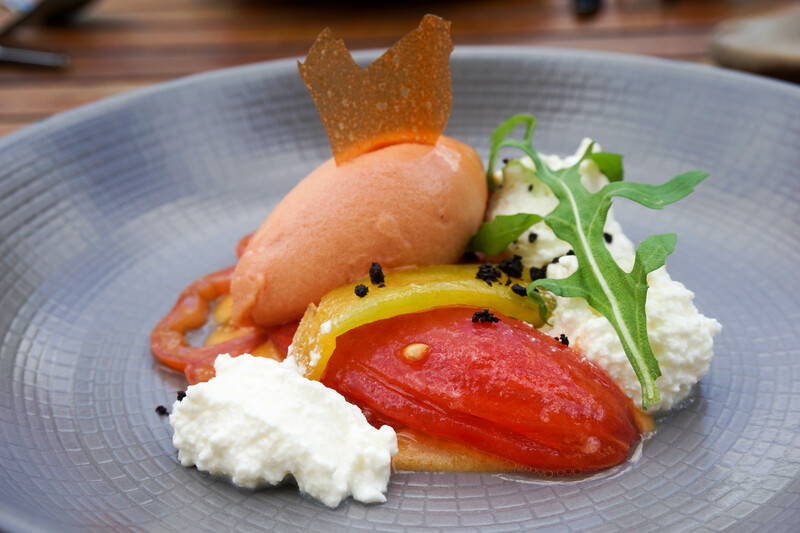 Following the amuse bouche we were given our first course, the isle of wight tomatoes, jersey milk curd and black olive. 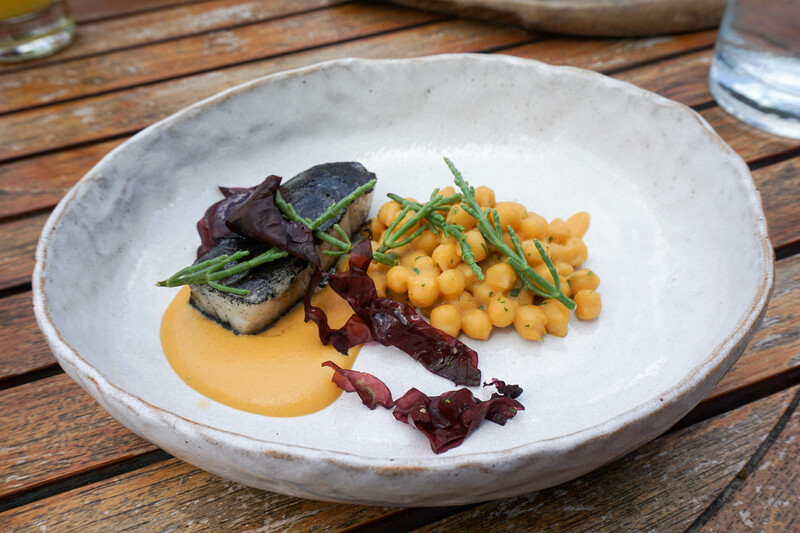 The fish was cooked just right, topped with squid ink sauce, which completed well with the slight sweetness of the chickpeas. 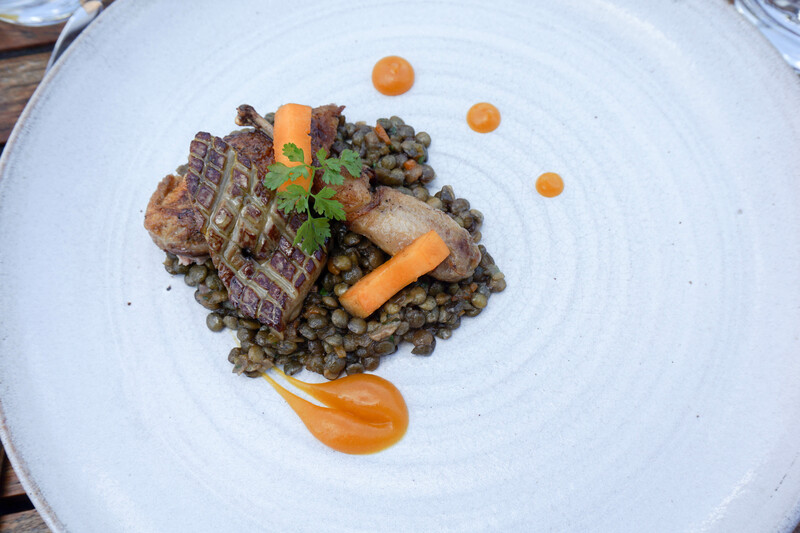 I’ve got to admit I’m not a big fan of lentils however the puree did it for me alongside foie gras which I absolutely loved. I prefer my foie gras grilled and almost softened to a point where it can become a spread. The quail was also done very well. Service: Anna and James delivered great customer service and were very informative. The chef came out to hear our honest opinions and the staff holds good rapport with their customers. Located at the edge of the Ealing Common, so enjoy a stroll through the green before reaching the restaurant!